In the penultimate installment of her series, Jane Harries offers first hand account to counter the media’s association of East Jerusalem with violent mass movement. Tensions around the Temple Mount or Haram al-Sharif (Noble Sanctuary) in Jerusalem had already reached a critical point whilst we were in the area. On 14th July two Israeli police officers were killed at the holy site by three Israeli Arab gunmen, who later died in a shootout. But it was the reaction of the Israeli authorities to this event which really sparked off mass protests, in particular the installation of metal detectors around the entrance to the site. Palestinian worshippers refused to go through the detectors, and instead chose to pray en masse in the streets around the compound. Although this was reported on the news here in the UK, there was little if no attempt to explain the significance of these events or the sensibilities surrounding them. In fact the snippets of news I heard on my return were astounding in their shallowness and by the fact that they were misleading – be this unwitting or otherwise. There was talk about ‘violent protests by Palestinians’ and ‘security’. UK citizens, well acquainted with the language and dialogue used around terrorist attacks, could be forgiven for drawing the conclusion that Palestinians are largely violent, whilst the Israelis have legitimate security concerns. Whilst not wishing to deny either that individual acts of violence happen on both sides and need to be condemned or that there are some security concerns in the area, I would like to offer a more in-depth analysis, backed up by reports of what really happened. The old city of Jerusalem is of importance to all three Abrahamic religions – Christianity, Judaism and Islam because of the religious sites which stand within its walls, including the Church of the Holy Sepulchre,the Western Wall and the Al-Aqsa mosque. The Dome of the Rock or the Temple Mount on which the Al-Aqsa mosque stands is particularly sensitive: tradition has it that it is from this place that Mohammed ascended into heaven. At the same time Jews believe that this is the place where Abraham prepared to sacrifice his son Isaac. The site is also sacred for Jews as this is the presumed location of both the first and the second Temples, the Western Wall being all that remains of the latter. Some Jews believe that more remains of the two Temples are to be found under the Dome of the Rock and archaeological excavations are ongoing, provoking fears among Muslims that the very foundations of the Al-Aqsa mosque could be threatened. This site is therefore in a way a microcosm of the larger Israeli- Palestinian conflict, in that it is in essence about ownership and the importance of the same piece of land to different religions and populations. Sensitivities around the Temple Mount also need to be understood as part of the wider political context. East Jerusalem, previously under the jurisdiction of Jordan, was occupied by Israel in 1967. Palestinians regard it as occupied territory (as do the UN) and the potential capital of a future Palestinian state, whereas for Zionists Jerusalem is the potential capital of a future Jewish-only state. In practical terms an uneasy status quo is held in place between the Israeli authorities, who control security around the site and the Jordanian-controlled Jerusalem Waqf who control what happens at the site itself. (In Islamic law, a person may decide to donate a property and its revenues to the public for charitable or religious purposes. This property then becomes a waqf, or holding, in perpetuity). In a region where religion is of the utmost importance and where rival claims to land are so bound up with identity, it is of vital importance that the delicate balance between the Israeli authorities and the Waqf remains undisturbed. Evidence of what can ensue if this happens can be seen from recent history: the Second Intifada was sparked off by a visit by Ariel Sharon to the Temple Mount in September 2000. The main element that the media missed, however, was the overwhelming non-violent nature of the mass protests in East Jerusalem. Despite calls from the Palestinian leadership for a ‘day of rage’ worshippers gathered each day for mass prayers at the security cordons around the Old City, and maintained calm and dignity. There was very little violence. Another element that was barely commented on was the fact that Palestinian Christians joined in the mass protests, showing solidarity across religious divides. This is a reality that belies a narrative that would have us believe that the conflict in the region is in essence a religious one, between Jews and Muslims. Although religion plays an important role in the region, the crux of the conflict is in fact about the dominance of one society over another, about sovereignty, identity and human rights. East Jerusalem has once again fallen out of the world news, and no doubt an uneasy status quo has been re-established since the removal of the metal detectors leading to the al-Aqsa mosque. However, the central imbalance and injustice between Palestinian and Israeli society remains, meaning that peace is at best precarious. The devout gather at the Lions Gate- whilst overseen by security forces. It is a fact that the world is less and less violent. So why do we have the feeling that the world is more and more violent, when it is more and more secure? Let’s take the United States and Europe from 1900 to 1960 — during the period of the two World Wars, which together accounted for several tens of millions of deaths. Will this be higher or lower on the graph? In tribal societies, where the state was almost non-existent, revenge and self-defence was enacted through violence. Gradually, as societies evolved, states built their authority by assuming what is called the monopoly of legitimate violence. It meant that only the state has the right to resort to physical violence . If we zoom into the 20th century, the rate of homicides linked to wars is also rapidly declining. Since the end of the Second World War, there has been an unprecedented period of peace, when no great power has entered the war with another great power. – Today, people complain more easily for facts that they would previously haven’t even talk about. Then to measure this evolution more reliably, we must turn to another tool: victimization surveys. The idea is to interview each year a representative sample of the population on the violence they have suffered in the past year. – Development of contraception and legalization of abortion (thesis advanced in the bestseller Freakonomics; the legalization of abortion in the 1970s avoided the birth of unwanted children, who would have been raised in more family difficulties context and therefore potentially more likely to become criminals). II. Why do we feel that the world is more and more dangerous? When Alexis de Tocqueville, one of the precursors of sociology, visited the United States at the beginning of the 19th century, there was something he did not quite understand. Indeed, at the time, Americans lived in a much more egalitarian and democratic society than Europe. And yet: they are all very worried about the future. Why? In other words, paradoxically, the more violence is diminished, the more sensitive one is to residual forms of violence… and the less one feels safe. Today, we are much less victims of physical violence but we are much more exposed to violence than in the past (through the news, TV,…). The systematic emphasis of sensitives and violent subjects distorts our perception of the world. For example, look at these images and ask yourself what do you think is most likely to kill you this year? On September 11, 2001, the United States was attacked at home on their territory for the first time in their history. 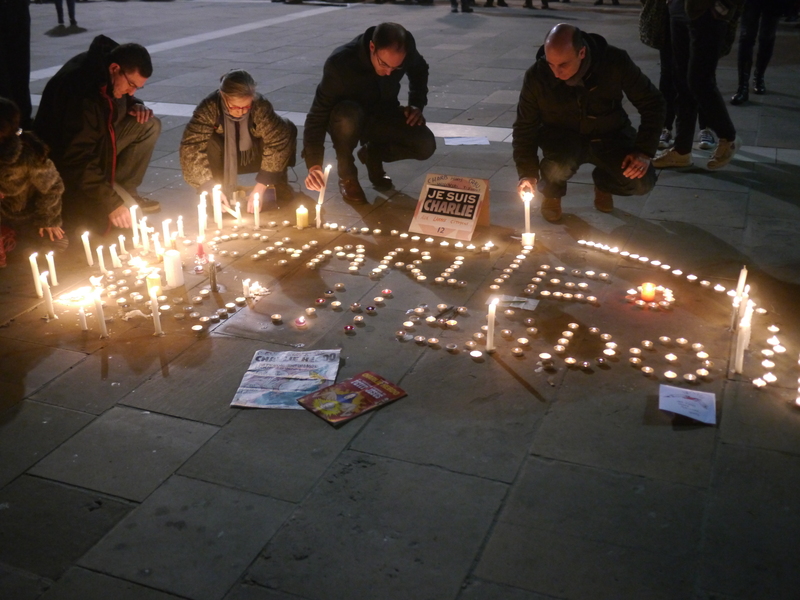 Where terrorism is scary, it is also that it changes the nature of violence. Before, the violence was perpetrated according to what an individual possessed or did. Terrorism, on the other hand, targets identities: it aims at what one is … and as it is random, one has the impression that it could all touch us. phone while driving (2,920 deaths per year). when a group of three terrorists used a van and knives to kill seven and leave dozens more injured – stating that “enough is enough”. But despite this latest attack, relatively few people have been killed by terrorist attacks in the UK in recent years. In fact, there can be even more dangerous than terrorism: our reaction to the terrorist attacks. In fact, its impact depends less on the damage inflicted objectively than on the way in which people are reacting to it. C. But why do the media talk so much about violence? want a story to tell. And with our smartphones, we are increasingly exposed to medias, fake news and bad news. According to Mediametrie’s Media in Life study, with the appearance of smartphones, we are 30% more exposed to the media than 10 years ago, with more than 44 contact points per day. Because it is a risk of making the world really more violent. Indeed, by believing that our world is more and more violent, one could end up making it really more violent. I don’t known if you have realized, but after the last elections, these are the main leaders of the UN Security Council. On 21 March, Gareth Owen, the Humanitarian Director for Save the Children, came to the Temple of Peace to give a presentation on the impact of the war on the children of Syria. The Chief Executive of the WCIA, Martin Pollard, introduced the event by expressing that the war in Syria is a pressing issue. He then went on to establish Owen’s background in civil engineering and his pivotal role in Save the Children and has been awarded an OBE in 2013 for his work in emergency crisis. Owen started his presentation by showing us a video about the children of Syria, with statistics of the injuries they have suffered and the effect that the war has had on their mental health. The information in the video was horrifying. Last week marked the sixth anniversary of the Syria conflict, however Owen reiterated that the theme for the presentation was hope. I think this is a really refreshing stance to have because with the all of the horrific news that we hear about the conflict, it is easy to fall into a state of negativity. Also, a sense of positivity will create a more open space for change within Syria. Owen then described Save the Children’s newest report, ‘Invisible Wounds’, which depicted the impacts that the war in Syria has had on four hundred and fifty Syrian children interviewed and showed the devastating psychological effects of the six year conflict. The study found that the majority of the children interviewed were suffering from toxic stress which can result in the increase of heart disease, drug abuse and mental health issues. The speaker stressed that the most concerning element of this is that the issues in childhood manifest in adulthood, so the effects of the war will resonate forever. The report found that 71% of the children interviewed suffered from bedwetting, which is a sign of toxic stress. Also, 80% have noticed that they are more aggressive than before the war, and 50% of the older children interviewed have turned to drugs. The children interviewed emphasized that they will never feel safe at school. The statistics given in the presentation have made it clear that the war in Syria is affecting the children in a detrimental way, and I share the opinion of many when I say that we cannot let it continue. This brings me back to the main theme of Owen’s presentation: although the situation in Syria is horrific, there is still time to act, many children can heal, there is still hope. The next section of Owen’s presentation asked how Syria got to into this situation. He established a brief history of the situation in Syria; the 15 March 2011 marked the start of the Arab Spring which began in Syria, and the world was terrified that it would spread. Last year marked the record amount of deaths for children. Before the Arab Spring, the population of Syria was around two million, but now half of that number have fled to neighbouring countries and Europe. The speaker went on to establish that those who have stayed behind, including children, are forced to fight work and into young marriage. The situation in Syria was described as a medieval siege like position, using starvation as a way to control the population. There have been 4000 recorded attack on schools, there is a critical need for water and healthcare, and many are living in poverty. This once again reinforces the need to intervene. A member of the audience asked what action was being taken to help children who have been forced to be in the army. The speaker responded by saying that Save the Children will soon be 100 years old. He expressed that the organisation works with factions to stop using children, but Syria is a nation of impunity, with inability to protect the children. Owen emphasized the problem of people forgetting that the United Nations was created to eradicate war. Therefore, Save the Children have taken it upon themselves, as they reach 100, to try and mobilise and change the picture. Another member of the audience questioned how Save the Children prioritises their aid given their scarce resources. The speaker responded by stating that the organisation makes practical choices but they are difficult choices to make. Save the Children always seek to help those who are hardest to reach but that is not always possible; the organisation tries to be impartial and ethical but they cannot always succeed. Owen then talked about one of his visits to Syria in March 2013. He expressed that he had to have an alias when he visited, which shows how dangerous the country is. The speaker stated that Syria is the most frightening war that he has ever experienced. He then went on to say that the world does not care enough because otherwise we would not allow this to happen. I think that in a sense this is true; there is a feeling of complacency in society right now, if the crisis has not majorly reached our country then we do not feel the urge to act. This is a major problem because we will only make an impact once it is too late. A member of the audience asked how Owen thinks Britain have handled the situation. The speaker replied that we have utterly failed and that the United Nations are not acting to its potential. However, Owen stressed that it is always going to be difficult, but it doesn’t mean that the United Nations isn’t trying. Owen then went on to provide examples of the positive progress that has been made in Syria, schools have been built and aid had been given, along with psycho-social support. The speaker emphasized that the conflict has meant that the Syrian civil society has to fend for itself to create organisations and work with other countries. This is one of the only positive aspects of the war, and reiterates the theme of the talk of the hopeful attitudes that we should have towards the conflict. The speaker then went on to discuss the countries that are taking in millions of refugees such as Lebanon and Jordan, and questioned whether Britain is pulling their weight. I think this is a valid question, in comparison with other countries Britain is not taking in that many refugees. This reinforces the point established above that we appear to not care too much unless we are directly affected. In this sense Britain most definitely could make more effort in contributing to help the people of Syria. A member of the audience expressed their concerns with the plight of refugees in Lebanon and Jordan and asked whether they are able to take in so many. Owen expressed that politicians respond to the electorate, so in that sense it is in the public’s hands. The speaker then appealed to the young generation, asking how we want our future to be. We need to do something; we need political activism that doesn’t necessarily exist today. We need passion. There are no humanitarian solutions, only political. The situation in Syria is so horrific, that the way Save the Children tell the children’s stories is so important. A member of the audience asked about the misleading information surrounding Syria and what information can we trust? Owen replied by saying that we live in a culture where facts are disputable, and there is a problem with propaganda and verifying information as a lot of information is propaganda. There is also the issue that the narrative of war is always written by the victor. However, the testimonies of the children cannot be disputed as that is their reality, and it reminds the world that we need to find a solution. The key element to the children’s stories is that of hope. Owen established that the power of hope lives in the refugees, so it is their job at Save the Children to keep the hope alive and help Syrians on a practical level as well. Owen then showed us the example of Ahmed and the Exodus film and how Britain helped to get his family over to the UK. I found this story refreshing as it shows Britain’s potential to help the people of Syria, and how our aid can have a positive impact. Another video was then shown, a ‘Don’t Bomb Children’ advert which has been televised quite frequently recently, and depicted a British school child being under attack from terrorist forces and having to flee her country. The main message of the video was that just because it isn’t happening here, it doesn’t mean that we shouldn’t care about what is going on in Syria. This video in particular was very powerful in conveying that message. It appears that the shock factor is one of the only ways to get us to respond to the crisis in Syria. This is really disappointing, but at the same time at least we are starting to respond more to the war. The war has spurred responses among well-known figures, Owen exemplified Stephen Hawking’s contribution to Save the Children. Hawking fronted an appeal, giving voices to the children of Syria. I think this is really positive, because if influential figures advocate a more active stance in regards to Syria then hopefully it will encourage others to protest to help Syrian people. The last example Owen depicted was the search and rescue in the Mediterranean, where thousands of refugees drowned attempting to cross the border. The speaker explained that 4700 died in the Mediterranean and 800 of those were children. From all of the examples given, it is clear that we need to take more action to help the people of Syria, as we cannot continue to sit back and let this happen to innocent people. Owen concluded by talking about the future. There have been talks of safe zones and peace talks which can only be viewed as progress. He went on to express that the price of humanity is whatever it takes to keep the people of Syria alive. According to the speaker, we will be judged harshly in history in terms of how we have helped Syrian people. He ended by asking which side we wanted to be on. Overall, I found the presentation really insightful and I think it was really effective in motivating the audience. I think we are in a really important period right now which will hopefully influence change in attitudes towards Syria. We need to think positively, but in order for there to be results, we need to take action. There is no doubt that more can be done to help the situation in Syria, and we need to get out of the mind-set that it is someone else’s problem. Every year, December encourages us all to look back on the year as it comes to a close. In 2016 perhaps more than ever, upsetting events have dominated and can naturally dominate our memories of the year. However, there were also plenty of positive events this year, as well as things that can give us hope that the world is still progressing towards peace and understanding between all people. Let’s recall just a few of these positive developments. The Paris Agreement on tackling climate change, which was drafted at the end of 2015, was signed in April and came into effect in November. As the most comprehensive international agreement on climate change, with the most international signatories, it has been hailed as a historic step towards tackling the environmental challenges of the future. The terrorist group Boko Haram, one of the greatest threats to peace and security in West Africa in recent years, was further weakened this year and now appears to be on the brink of total extinction. The January release of 1,000 women held hostage was a big moment, and a further 600 people have been freed in December. The group are still holding many of the Chibok schoolgirls they kidnapped in 2014, but some have been returned to their families throughout this year. The 52-year conflict in Colombia, in which hundreds of thousands of people were killed and millions displaced, was resolved with a peace deal between the Colombian government and the FARC rebel group. Negotiations had been ongoing for four years, and the first draft of the deal was rejected by a referendum in October. However, a revised peace agreement was signed by President Juan Manuel Santos and FARC leaders in November and the Colombian Congress voted to approve the deal. President Santos was also presented with this year’s Nobel Peace Prize in recognition of his efforts to bring peace to his country. 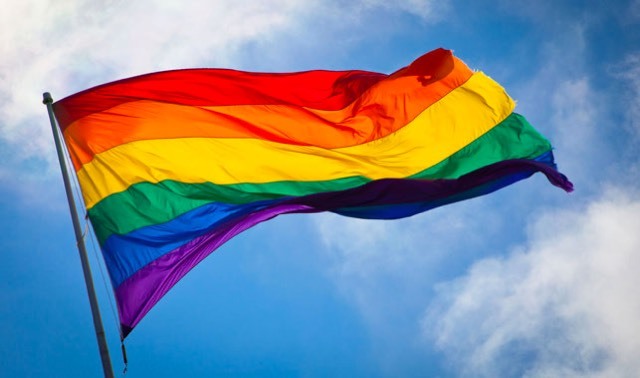 In June, the United Nations’ 47-member Human Rights Council voted to appoint an independent expert on LGBT rights to monitor violence and discrimination against LGBT people globally. Past attempts to make progress on LGBT issues at the UN have been frustrated or defeated by opposition from countries where the law actively discriminates against LGBT people, so this decision represents a significant breakthrough. An attempt to overturn the decision through the UN General Assembly was defeated in November, giving this new role an even more solid basis to campaign for an end to violence and discrimination against LGBT individuals. The Council of Europe’s ‘Convention on preventing and combating violence against women and domestic violence’ – known as the Istanbul Convention – was finally ratified by 22 countries, having been signed five years ago. In some of these countries, the Convention is now the strongest protection women have against gender-based violence, sexual violence and domestic abuse. The UK is now in the process of becoming the 23rd country to ratify the Convention. In stark contrast to divisive media rhetoric and concerning hate crime statistics, refugees from Syria arriving in Wales were warmly welcomed by local communities. The number of refugees allowed into the country is determined by the UK Government, but Local Authorities across Wales have been more than willing to help families and individuals fleeing violence, with refugees being settled all across Wales. There will be many challenges for the international community to address in 2017, some new and some continuing, but stories like these should give us hope that we can and will continue to make progress. Hopefully next year the stories of hope and progress will dominate, and 2017 will keep the world on track towards a peaceful future of justice and equality for all.